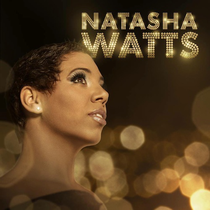 UK singer, songwriter, performer and entertainer, Natasha Watts recently released her self-titled debut album for SedSoul. Showcasing Natasha’s songwriting and performance skills, this debut has a cross section of soulful Bossa to ‘80s fused R&B and classic soulful grooves, laced with heartfelt sweet melodies reaching down to the nitty gritty lyrics and smooth tones. Also adding their production to the album are modern soul’s Frank Ryle & Rob Hardt, aka Cool Million. All the singles released from the album so far including ‘Born A Star’, and ‘Go Slow’ have made the UK Soul Charts Top Ten, with current single ‘Change’ hitting the no.1 spot. Also topping off a great 2013, Natasha won The best New Soul Act award from Soulsurvivors magazine, as voted for by the soulful masses, a clear indication of her growing fanbase. At sixteen, Roame Lowrey (percussionist with Maze and Frankie Beverley), took Natasha across the Atlantic to nurture and develop her talent as a young recording artist. Whilst in the States she worked in a stage musical and performed with Kirk Franklyn and the Family, discovering a love for Gospel and organic R&B. Fast forward and In 2006, Natasha fronted the funk outfit Funkshone, producing the album, ‘Shining’ before Natasha made the move to go it alone. She's worked with Josh Milan, Papa Records, Reel People, Bugz In The Attic’s Kaidi Tathum, Speedometer, Purple Music, Nervous, Barcoda, Yam Who? and many more. There are also future collaborations in house music with some of the biggest names including DJ Spen, Terry Hunter, Distant People, Manoo, Kerri Chandler, Black Coffee and Tony Humphries Music as well as Rhemi. The album’s out now, check the Soundcloud above to get a taste.